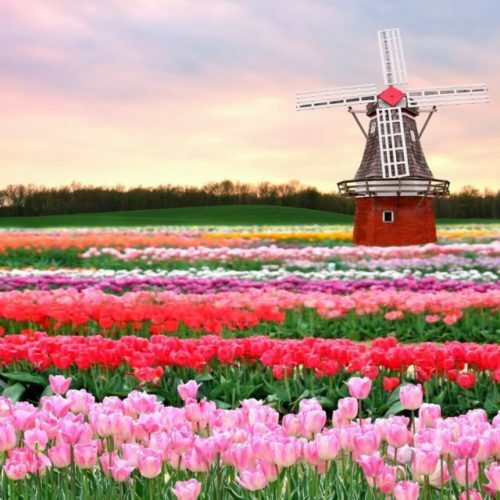 From March through May, the celebration of the Dutch tulip is underway, and if you are an avid gardener or simply a traveler in search of beauty, you should think of organizing your next trip to the Netherlands around this fabled flower for which the Dutch are so famous. Remember the tulip bubble? The Mecca for Tulip Lovers: Visiting Keukenhof during tulip season is a staple of Dutch springtime. More than 6 million tulip bulbs are planted in this expansive park every year, and its English-style landscape gardens are absolutely breathtaking. Known as the Garden of Europe, it is one of the world’s largest flower gardens, situated in Lisse, South Holland, Netherlands. Open only eight weeks a year, and attracting up to 800,000 visitors, you can count on Dutch Links Tours to take care of your early booking. 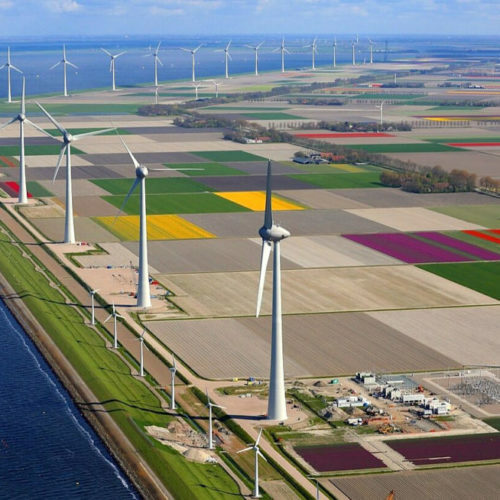 A Former Sea Bed Transformed into Tulip Fields : Like the rest of the Flevoland province, the municipality of Noordoostpolder was submerged beneath the sea until relatively recently and was reclaimed from the Zuiderzee bay during the mid-20th century. Today, this large landmass is covered in flower fields and is among the best places in the Netherlands to experience tulip season. Many farms in Noordoostpolder offer guided tours of their fields, and the whole area is exceptionally bike-friendly. Dutch Links Tours takes you off the beaten path to discover this lesser known region. Amsterdam for the Tulip Festival : Finding tulips in Amsterdam is never difficult thanks to the many springtime events and activities that take place within its borders. In addition to its floating flower market and other horticultural attractions, Amsterdam also hosts a massive tulip festival every April for the entire month. Many of the city’s cultural institutions take part in this event and plant tulips around their headquarters, creating colourful oases throughout the city.